Tips and tricks to locate theses and dissertations, in both print and electronic format, from the University of Saskatchewan and elsewhere. All masters' and doctoral theses accepted by the University of Saskatchewan since 1912 can be found through the University Library. 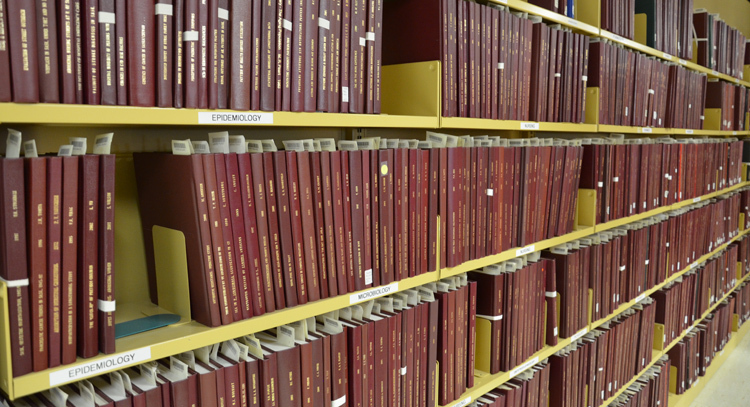 There are currently over 13,000 USask theses in print located in the University Archives and Special Collections (3rd floor of the Murray Library). HARVEST holds all University of Saskatchewan electronic theses and dissertations (ETDs) published since 2005. More than 1,400 print theses published before 2005 have been digitized and added to the collection as well. To request the digitization of a print-only thesis or dissertation, contact University Archives and Special Collections. Since 2007, all theses are now submitted electronically. Links are available through both HARVEST and the library catalogue as soon as they are approved by the College of Graduate and Postdoctoral Studies. Some theses are available in both print and electronic format, and we are constantly digitizing older theses. Use the catalogue search box below to search for theses by subject, title, author, call number, or word.